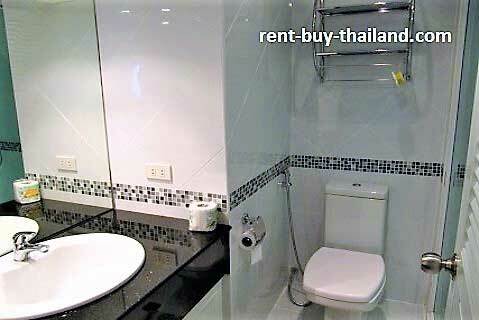 Rental Price 30,000 - 45,000 Thai Baht per month depending on season and length of stay. This is a fantastic luxury two bedroom corner apartment that has been stylishly designed and finished to a high standard. The condo consists of an open plan living and kitchen area, two bedrooms, a bathroom and a balcony. Being fully and modernly furnished, the apartment is ready for you to move in to now! The stylish modern kitchen is of a European style is of a good size, with plenty of storage and worktop space, and is fully equipped with cooking utensils, crockery and cutlery. The kitchen is furnished with an oven, electric hob, extractor fan, hot water kettle, toaster microwave and refrigerator. There is also a stylish breakfast bar area complete with stools. The living area includes a large corner sofa, coffee table, and a flat screen TV with DVD player. There is also access to the balcony via large sliding doors. The main bedroom contains a double bed, a flat screen TV and good storage facilities, including a large double wardrobe, drawers, a dressing table and bedside cabinets, along with a desk and chair providing work-space. There is also access to the balcony via large sliding doors. The second bedroom also contains a double bed and a flat screen TV, along with built in storage facilities. The bathroom is modernly and stylishly decorated and fully tiled; containing a large work surface housing a basin, and storage facilities, along with a large walk in shower. The balcony includes balcony furniture, and provides a lovely place to relax. The apartment also benefits from impressive feature ceilings with concealed dimmer lighting in the living area and bedrooms, along with tiled flooring throughout, curtains, down-lighting, air conditioning and ceiling fans. 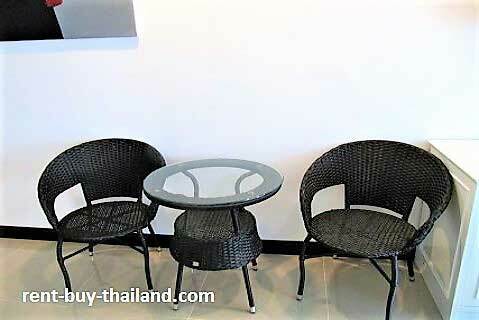 Jomtien Beach Condominium is in the popular beach area of Jomtien; whilst this is a quieter area than the near-by bustling Central Pattaya, Jomtien also offers a large variety of amenities for the whole family. In addition to the 6 km long sandy beach, where you can find a variety of water-sports on offer, there are a multitude of restaurants offering both local and international cuisines; a fantastic nightlife with a great atmosphere with a variety of bars, cabaret and entertainment venues to choose from; a range of shops, fresh food markets and two fantastic night markets. Central Pattaya is easily accessible from the complex, being a just a short drive or Baht Bus ride away, and offers a lively nightlife, with many nightclubs, bars, restaurants and cabaret shows to choose from, ample shopping opportunities and many tourist attractions to keep you entertained. Residents at Jomtien Beach Condominium benefit from some great facilities and amenities, including: a club house with a fitness center and table tennis room, a large communal swimming pool with a children's pool, free use of bicycles, wi-fi (available to purchase), free parking and 24 hour security. There are also a range of small businesses in the complex, such as laundry services, shops, bars, restaurants, massage parlors and beauty salons. Rent-Buy – Easy payment plans available, no credit check needed. 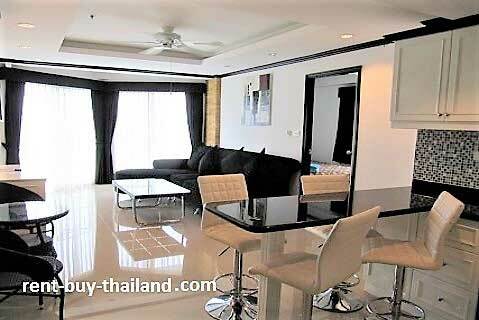 Jomtien Beach condo for sale - we have a large selection of studio, one bedroom and two bedroom condos around the area available to rent or buy, please inquire for further details.